This lamp is no longer available, but the replacement bulbs can still be purchased below. 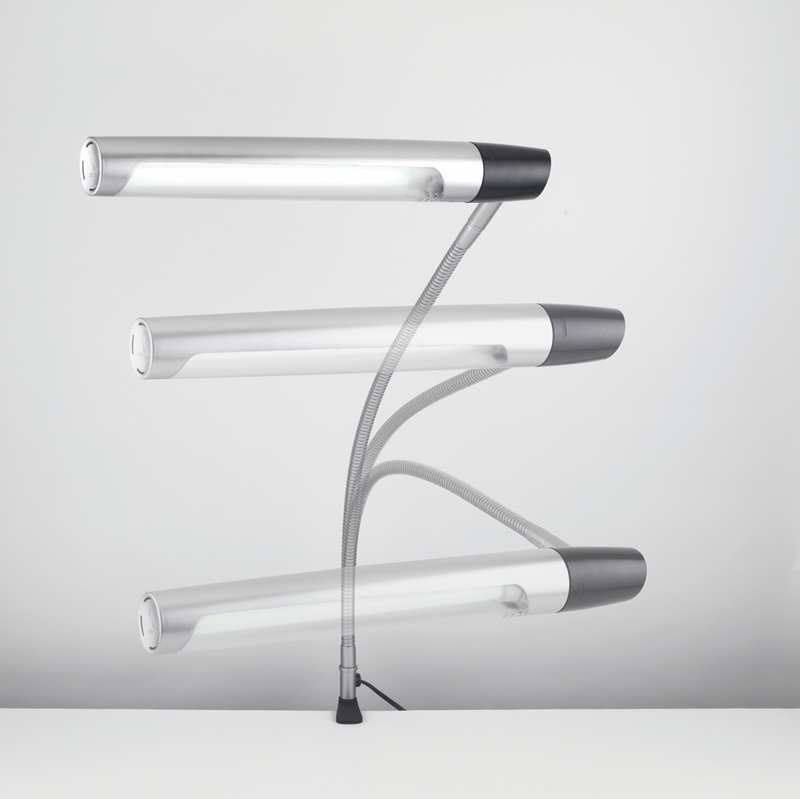 This is beautifully designed powerful artist lamp which is chic and modern. It is supplied with two clamps for optimal flexibility and versatility. 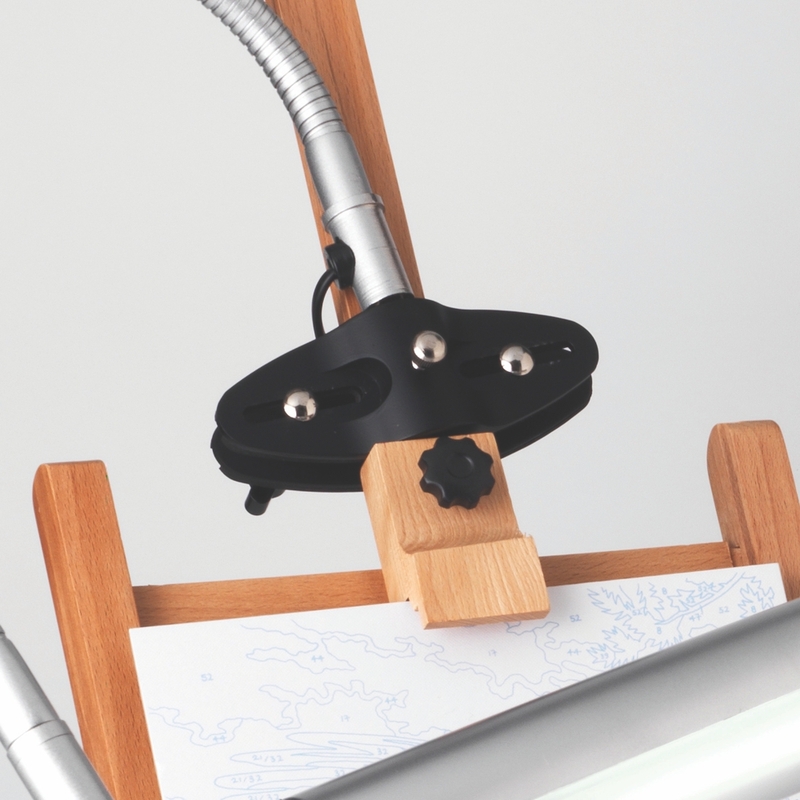 The universal clamp allows the lamp to be attached to virtually all floor standing metal and wooden easels. The heavy duty table clamp allows the lamp to be used with a table easel, on a draughting table or work bench in a matter of seconds! 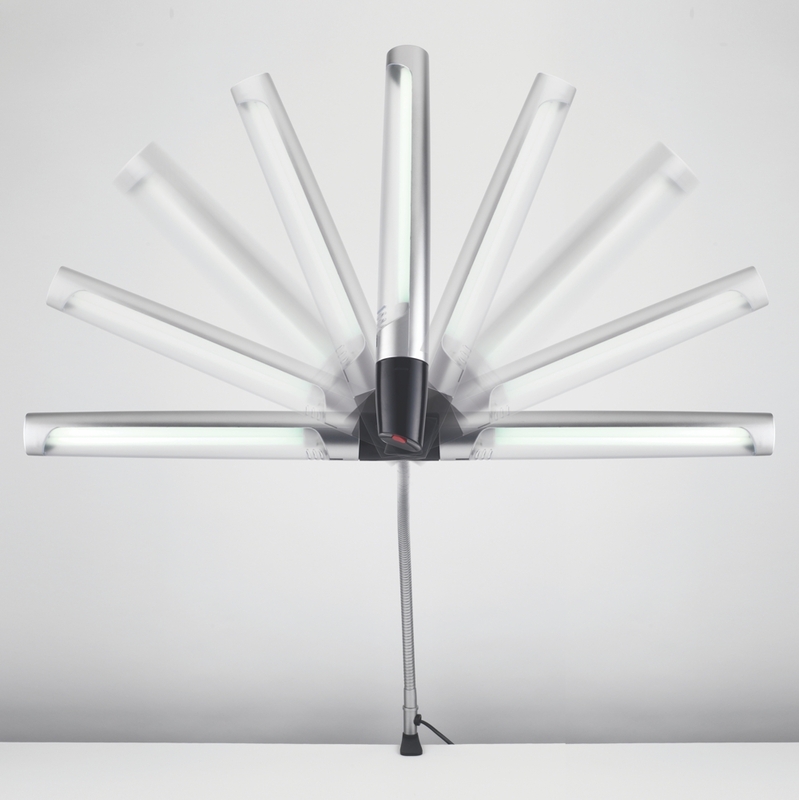 The 24W low heat daylight™ tube is now longer and provides an even wide spread of perfect white light (equivalent to 185W). 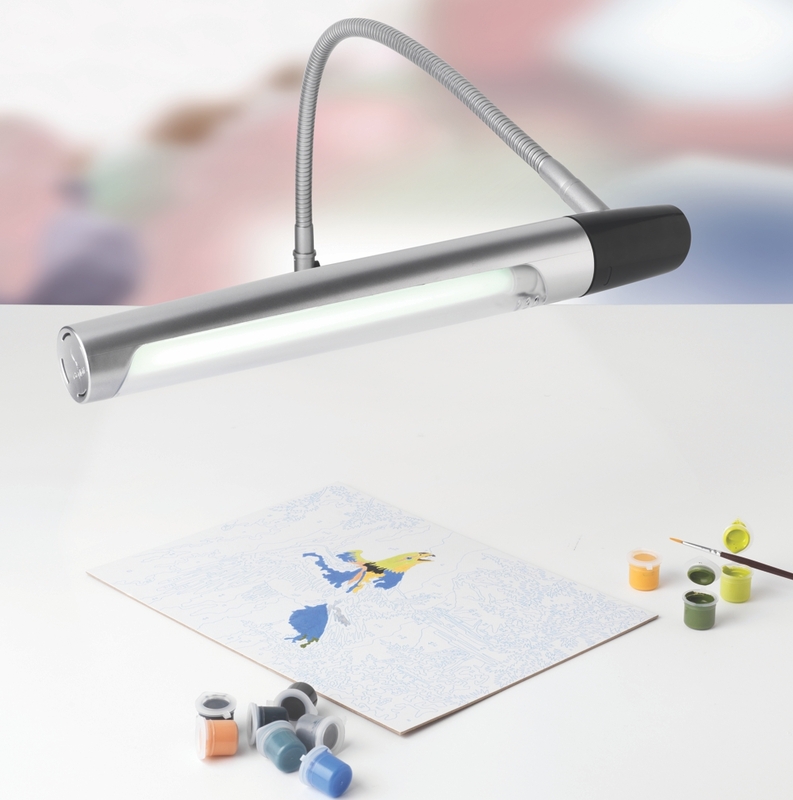 Have total control over your creativity with the right light exactly where you need it via a 360° degree shade rotation and 320° degree head-flip system which allows the lamp head to swivel completely to a different area, maximising light coverage up to an A1 size area. Love the colours just the way they are! The daylight™ technology not only reduces eye-strain; it gives you the best colour matching ever. Twist the head of your lamp, not yours! 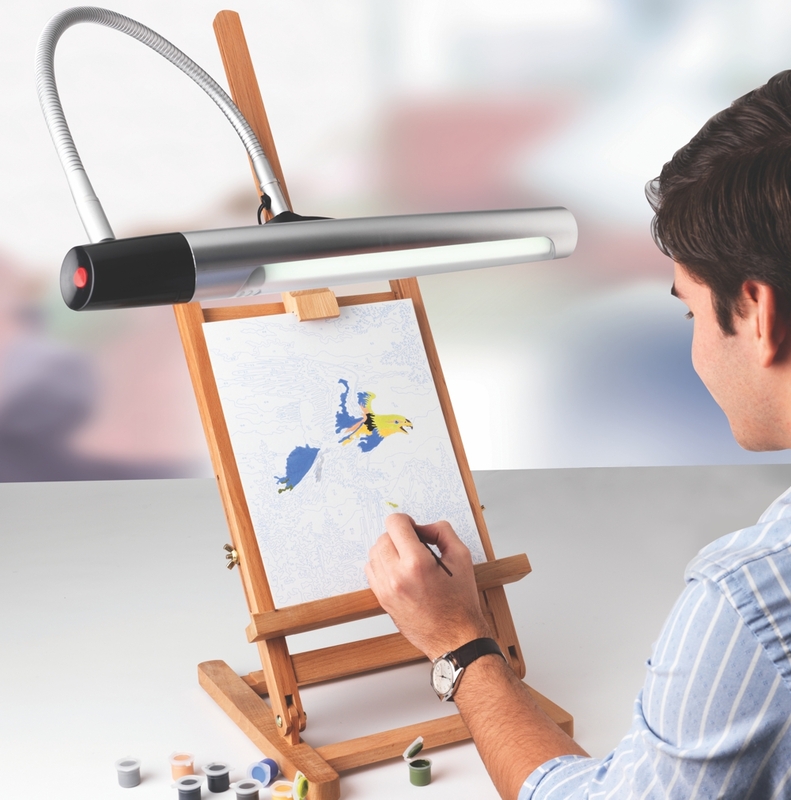 With the Easy-Twist 320° head-joint, you can rotate the shade and direct the light exactly where you want. 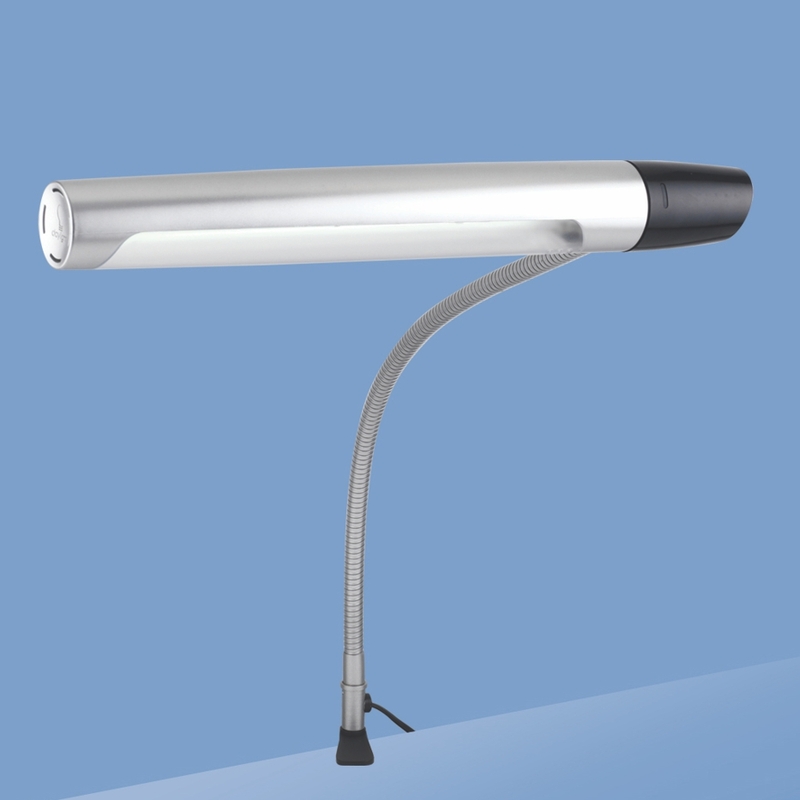 Another innovation from Daylight™. The wider the better! The shade has been designed to spread the light evenly across your working area, making it easier for you to see details and work in comfort. There is a 2 year warranty from the Daylight Company but this excludes the bulb.